More truck drivers are relying on smartphones and tablets to help them communicate with their employers and find loads, research and anecdotal evidence show. While some holdouts still rely on more traditional cellphones that lack the ability to download apps with access to things like load-matching software, the tide has shifted in the past few years toward expanded use of “smart” devices, experts said. In a study the firm conducted in the second half of 2017, the firm found that 80% of longhaul for-hire trucking fleet operators said their drivers used smartphones for the job, a significant jump from 2013, when only 45% of fleet operators said their drivers used smartphones for the job. A separate study by the American Transportation Research Institute found that about 89% of truck drivers possess a cellphone, but did not break down use of smartphones versus traditional cellphones. That said, the group believes most drivers have moved away from the older technology. “Anecdotally, most of those phones are smartphones,” said Dan Murray, ATRI vice president. In addition to load-matching, downloadable apps tailored to drivers include some that can help find parking spots, learn about bridge limitations and find out if weigh stations along their routes are closed. Geoff Turner, CEO of Preston, Md.-based logistics services provider Choptank Transport, said adoption of a technology suite that includes a driver-focused mobile app has helped the company shed a number of manual processes, like calling drivers to learn their location, and has also helped the company match drivers with freight. Choptank, which uses a load-matching and load-tracking platform from Trucker Tools that is integrated with a driver app, has seen an improvement in its ability to keep track of its drivers’ progress, Turner said. Reston, Va.-based Trucker Tools specializes in software for shipment visibility, carrier engagement and predictive freight matching. 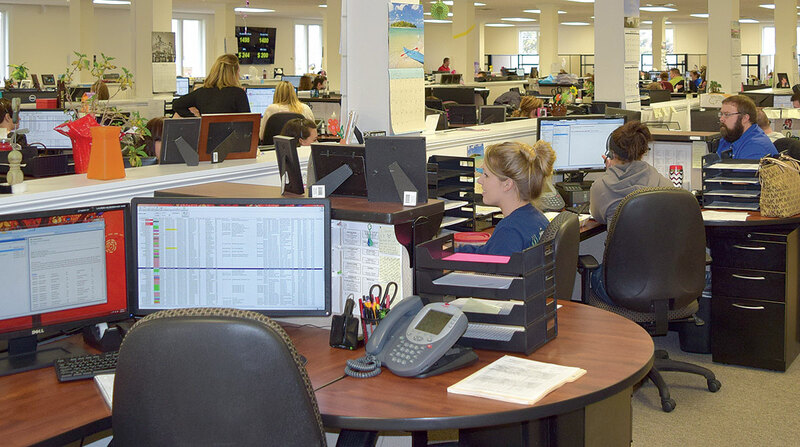 In years past, Choptank’s brokers would call drivers every hour or so to update their locations. At night, however, there was no visibility into drivers’ locations, Turner said. Turner also noted that the technology has helped Choptank gain access to business with “micro” firms, companies with up to 10 trucks. That said, Choptank maintains 24-hour availability of live brokers, and Turner notes the need for the human touch with business, especially with the drivers who stick with the older methods. “It’s still that way for some,” he said.